CSI Collecting Guidebook A new 2014 edition of the CSI (Council Shoulder Insignia) Guidebook is now available for purchase. It's over 600 pages of information updated through December 31, 2013 on council shoulder patches, red and white strips with color variations (including khaki & red, blue & white, white & blue, etc. ), listings of councils by state and merged councils since 1970. It also includes a valuation guideline showing the best available pricing information. to order a copy ($39.00 including postage) or if you wish to order through the mail, you can use the flyer. Please allow 2 - 4 for weeks for delivery. 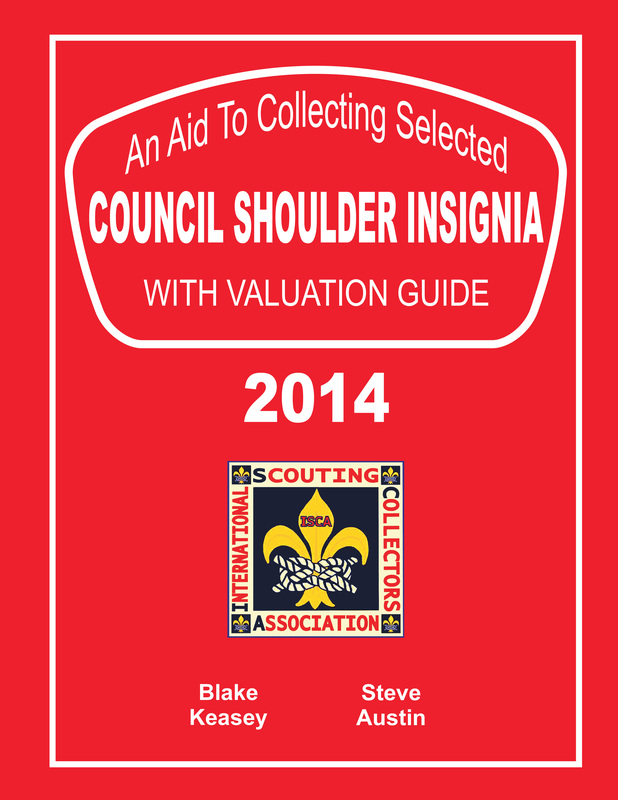 Note: The International Scouting Collectors Association (ISCA) and the authors of "An Aid To Collecting Selected Council Shoulder Insignia with Valuation Guide" have formed an agreement whereby all future editions of the Guide will be published by ISCA. Steve Austin and Blake Keasey will continue in their roles as the chief editors of the Guide and they remain committed to providing the collecting community with the most comprehensive listing of CSPs and R&Ws as possible.